Have you had a marketing expert use the term ‘marketing funnel’ and your eyes glaze over not knowing exactly what they’re talking about? We hear it all the time! Funnels are highly beneficial to your business marketing strategy. When you get visitors to your website – you want them to take a certain action, this could be purchasing something, signing up or completing a qualification form. 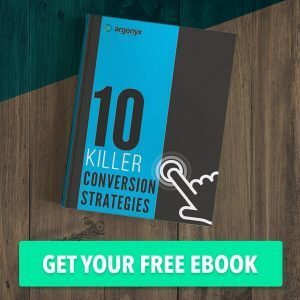 A funnel is the set of actions or steps a visitor needs to go through before they can reach the conversion. It helps putting online strategies in a ‘real life’ context. Imagine you’re walking into a supermarket, you grab a shopping trolley and browse the fruit and vegetables. You need the right ingredients for an awesome fruit salad. You grab everything you need, put them in your trolley and head to the checkout. The operator asks if you’d like to purchase a bag – you accept. You grab your bag of goods with your purchase receipt and leave the store. Bam! You just used a highly successful marketing funnel with an up-sell attached without even realising it. We can mirror this in eCommerce and online funnels – and even better, we can SEE the funnel and track it. You can add as many stages into your funnel as you deem necessary to your brand. You can also expand it with time as your strategy is optimised and become more efficient with new opportunities arising. I know what you’re thinking, this sounds more just like a chain of events – what’s a funnel got to do with it? Good question. It’s called a marketing funnel because as the sales process goes on and people take the next steps, some of them drop out – the size of the crowd thins or narrows. Using our supermarket example, we always see people entering the shop, that doesn’t mean they’re under any obligation to make a purchase, just like website visitors. A visitor could enter your website and realise you don’t have what they need, or a price they are happy to pay. So just like you would exit a store, a visitor will leave your web page. This determines your website’s bounce rate – an important factor to monitor (bounce rate is the percentage of visits in which a person leaves your website from the landing page without browsing any further). 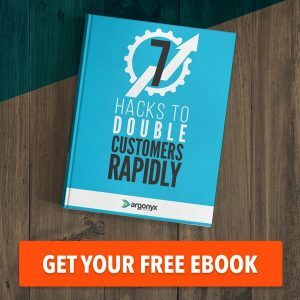 Only the most interested visitors will move further down your funnel to a sale. 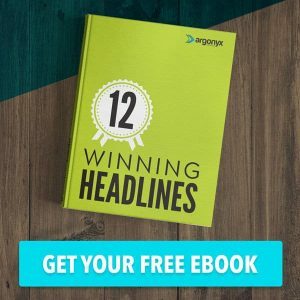 To ensure maximum chance of immediate purchases, it’s important to have a functional landing page that doesn’t require many actions to make a purchase. Ever wondered why supermarkets put all the Easter chocolates as soon as you walk through the entrance? To make it as simple as possible for a customer to grab a trolley and stock up. Products are organised neatly, prices are clearly displayed, and trolleys are easily accessible at the front of the store. Much like supermarkets, your landing page must follow a similar pattern of purchase. Have your products neatly displayed with a price as soon as they open your landing page. Make it simple to add to their online cart and go through the checkout to finalise their purchase. Funnels don’t necessarily have to be used only for sales! You can place funnels all over your website to track and monitor how visitors move through a specific website function. You may have a blog you want people to subscribe to, so your funnel would be; [view blog, enter email to subscribe, view blog thank-you page]. The awareness stage of your funnel is one of the most important steps. 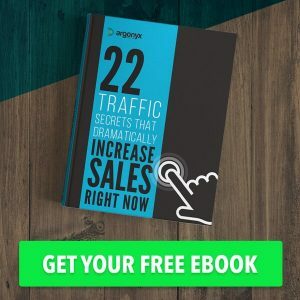 It’s here you have the MOST traffic you will ever have, all with the potential of moving further down the funnel. Prospects are learning who you are as a brand and a company, establish yourself as a dominant leader within your industry – build their trust! Demonstrate the value of your product by offering (if possible) free content! It’s easy in any industry to give free value with little effort; say you’re a tree lopper – write a blog post about the Top 5 Best Trees To Plant In Your Garden, this will certify you as an expert in your industry by displaying your experience and knowledge. Now you’ve peaked their interest, keep it going! Build a deeper relationship with your prospect – they’re now open to considering your company and product. Now you know more about your visitor, give them targeted content addressing their pain points and how your product or service can ease it! Using our tree lopper example; write content addressing the dangers of unkempt trees in their front or back yard and how your quick and easy service can address this danger and remove it. You’ve managed to hit their pain points and evoke a sense of urgency to use your product or service. It’s time to get them to commit to making a purchase decision. You’ve determined they have a problem, showcased your expertise in the industry and made your product/service available. At this stage it’s important to show how your product/service differs from others available in the current market. This is the stage where most potential buyers are lost. They fail to see the value that is offered with purchasing your product or service. Offering a guarantee or ‘money-back’ guarantee is a potential high value offer – it shows extreme confidence in your product/service and can alleviate the potential buyers hesitation. Congratulations! You’ve managed to make a sale, that’s it, right? Most businesses incorrectly assume the last step of a funnel is the sale. Don’t celebrate too much once you’ve finished your sale. Move on to the next prospects that most businesses don’t even know exist, loyalty and advocacy. In today’s world of over saturated markets and industries, it’s imperative you make your business stand out and offer something above and beyond your competitors and most importantly, have them come back. Repeat customers and longtime customers are such a valuable resource in business that are too important to ignore – what can you offer them to not only guarantee they make a return visit, but they’ll also recommend you to their inner circle? Back to our supermarket example, all major supermarkets have ‘rewards’ programs that entice customers to continue spending money on their groceries with them! Never has the phrase ‘Spend money to make money’ been more apparent. Open your wallet or purse and look at ALL the loyalty cards you have sitting in there – those businesses (hopefully) have your name, email and/or phone number on file to nurture you and entice you into returning to use their product or service. Similarly, eCommerce stores use email marketing to their advantage, offering customers to sign up to receive ‘exclusive’ discounts and vouchers.. Head into your promotions or spam inbox on your email and look at all the offers businesses are constantly sending through. Even if you aren’t an ecommerce shop, it’s still vital to retain customers in a way that encourages them to return or refer you – liking your Facebook page, signing up to your email list. This turns your customers into your fans and what’s better than having people sing praises of your business? 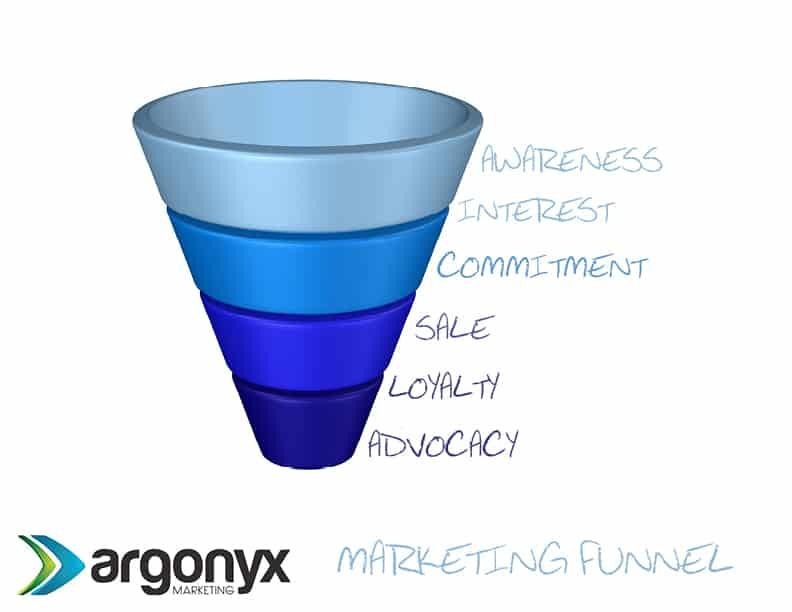 Always develop any business strategy with this marketing funnel handy. Being able to track and measure will help you determine what stages of the process need improvement. In doing so, you’ll have a better chance of converting visitors into paying customers and then into fans of your product or service! 14 Words To Ban (or avoid…) & Ones To Use Instead! If you think there could be a fit with your organisation, let’s have a chat.